The Bee's Knees Encaustics - Made by artists for artists. The Bee’s Knees Encaustics is committed to making high-quality hand-made encaustic paints and mediums. Made by artists for artists. Our paints are made with 100% filtered Canadian beeswax, dammar resin and premium pigments. They are free from harmful chemicals and solvents. Our paints are highly concentrated with pigments and can be mixed with mediums to lengthen their productivity level and make them more economical. Choose form a variety of natural earth friendly colours, chemical and solvent free. 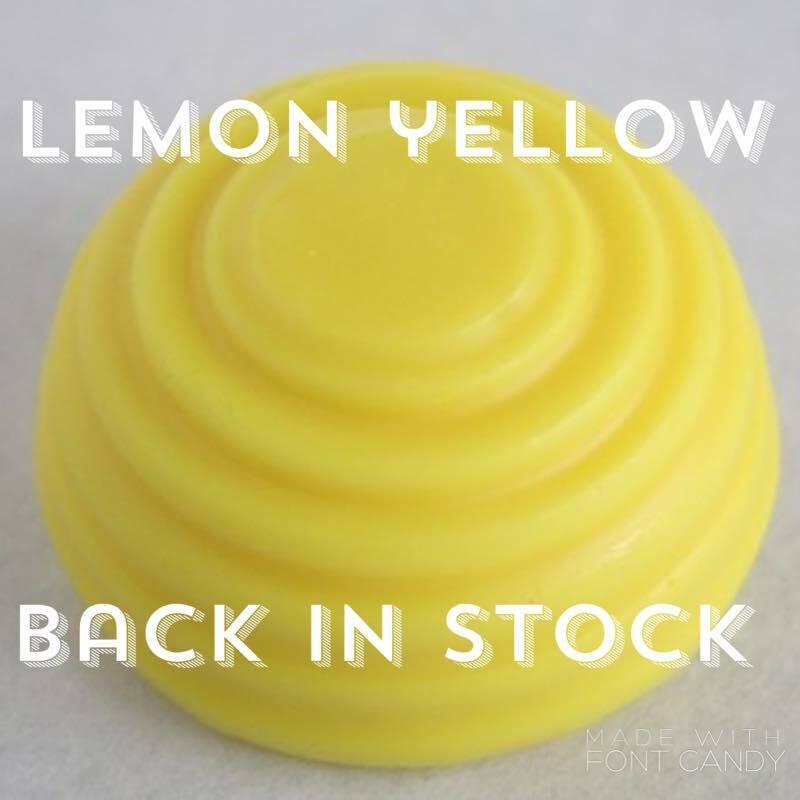 This zesty little number is back in stock. Lemon Yellow is a vibrant citrus yellow that has a slight green tint. Semi-transparent and excellent lightfastness (1). Makes for an excellent glaze. Made with an Oxide pigment. Composition : Nickel Antimony Yellow Rutile.